This week I've been celebrating year number seven of eating a different chocolate each day, with a great line-up of dark chocolate, single origin bars from Venezuela. People have asked me for the past seven years if I'll run out of different chocolates to sample. 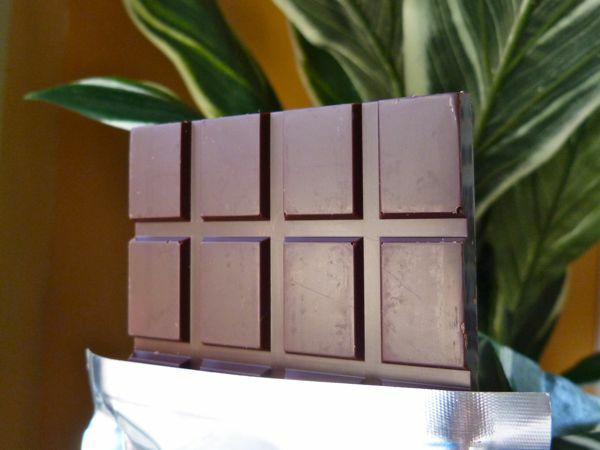 After more than 2,500 chocolates, I'm happy to say there are still many good bars to try. 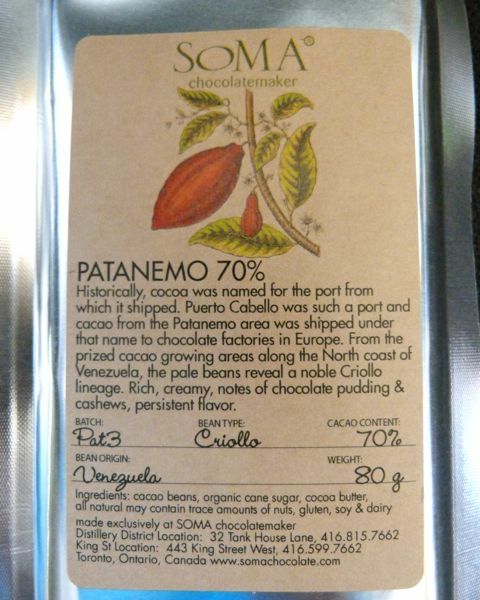 Such as today's Patanemo (Venezuela) 70% cacao bar from SOMA Chocolatemaker (Toronto, Canada). 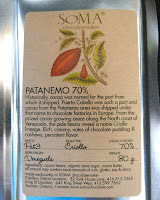 Yesterday, I enjoyed SOMA's El Vigia (Venezuela) bar. 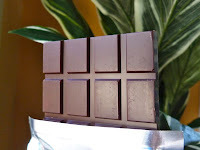 Both bars were made using Criollo cacao beans and had smooth texture and uniformly rich, dark flavor, with a well-balanced dried fruit acidic bite.